You told yourself that 2019 was going to be the moment for a new fitness journey. But if you are anything like us, January is almost officially over and you are still finding your groove. The city never fails to offer a plethora of cheap/free workout sessions if that’s your style, but as we get deeper into chillier temperatures, leaving your home becomes a task all in itself. It’s already challenging attempting to balance working out with every other aspect of your life, and going out makes it that much harder. Take it easy on yourself and stay in with this list of affordable and luxe workout gear to help you build your booty in even the smallest studio apartment or hotel room. 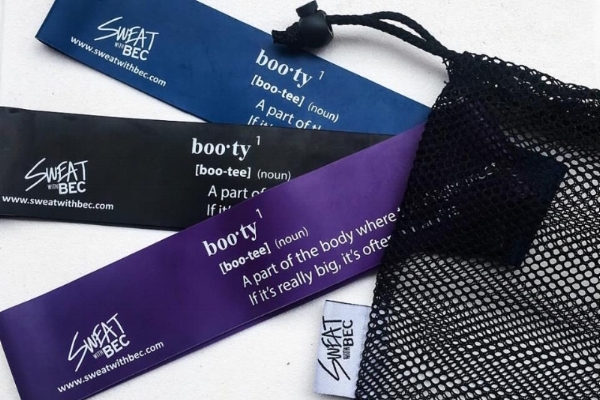 The Sweat with Bec Booty Bands will help sculpt your beautiful legs and booty. The wonderful thing about these bands is that they're versatile so they give you a full body work out, from building strength through resistance to a satisfying cool down stretch. Bec Donlan, the founder, also includes mini workout cards showing you the best moves to target those hot spots. The bands are so compact that can easily fit in your carry-on to your next vacation or even to work if that's your style. 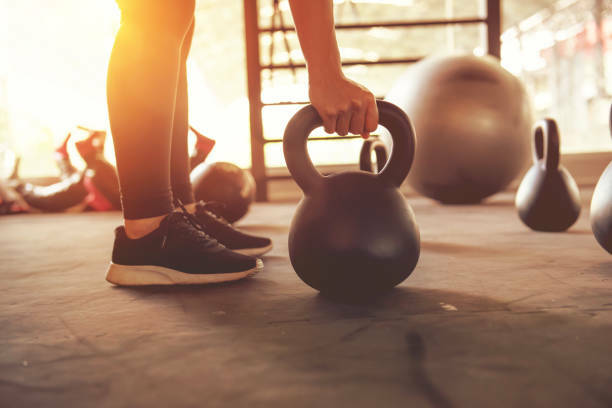 Kettlebells are so versatile and you can achieve a full body workout using just one! Kettlebells build strength to get you that much closer to toned “Michelle Obama” arms. Check out Youtube for free fitness videos of how to use them to burn off all those boozy brunches. Nothing like a cheeky yoga mat to get you in the mood for some floor work! There are so many designs out there, so don't be afraid to find one that fits your personality. Yoga mats can not only be used for perfecting your warrior pose, but they also make great cushions for your joints while doing aerobic routines. ...And YES! 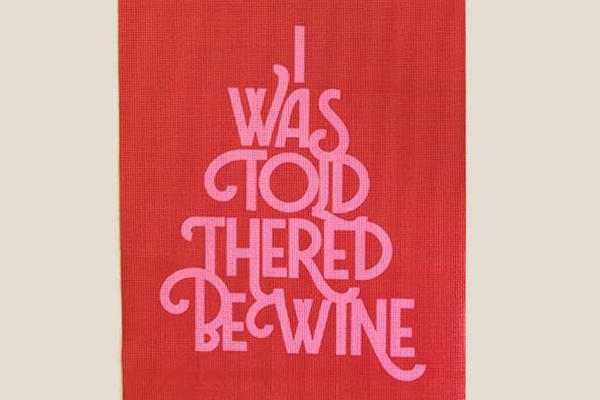 there will definitely be wine afterwards! Looking to add a little more intensity to your routine workout circuit? Try adding Bala Bangles into the mix. 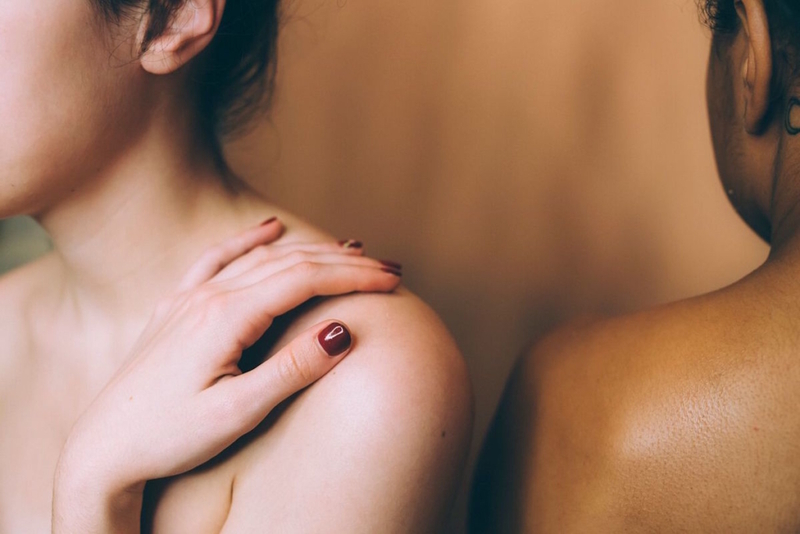 The bangles come in a variety of colors, though we are partial to the blush, and are a great way of toning up your muscles. The sleek design makes your workouts not only functional but also aesthetically pleasing. Sometimes it is nice to treat yourself, even with the most mundane objects. 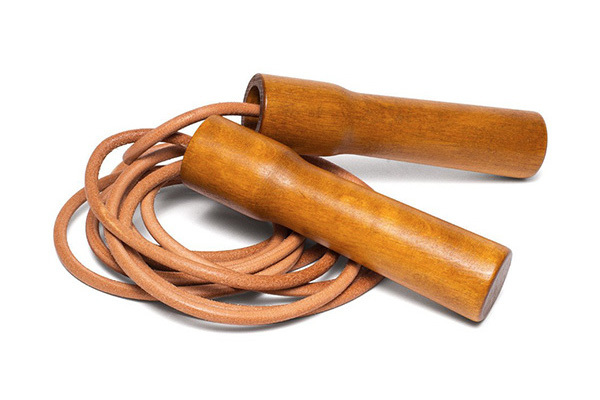 This leather jump rope is the perfect way to elevate your cardio routine. The leather and wood are sourced from the finest material in Europe and will weather beautifully over time, but in the mean time, you'll get a wild cardio workout. 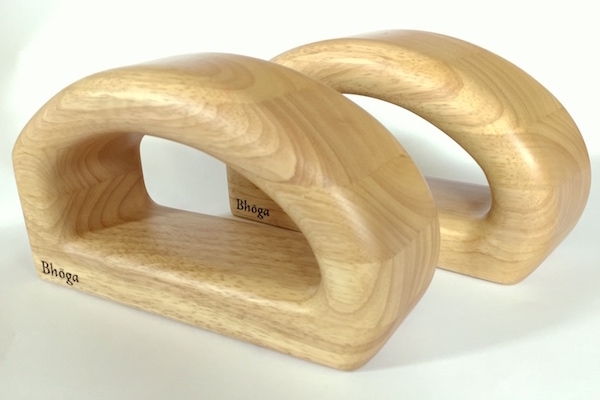 Your crescent lunge just got better with this beautifully made ergonomic yoga block. Made out of sustainable rubber tree wood, the curved design provides a natural grip for any new pose you might encounter and they're sure to stand out in yoga class.